WHY WAIT FOR A NEW BUILD HOME? SAVE THOU$AND$!! // MOVE IN READY!! \\ Beautiful 2 BR, 2 BA home located in popular Mission Royale Active Adult Golf Course Community! This home has it ALL! 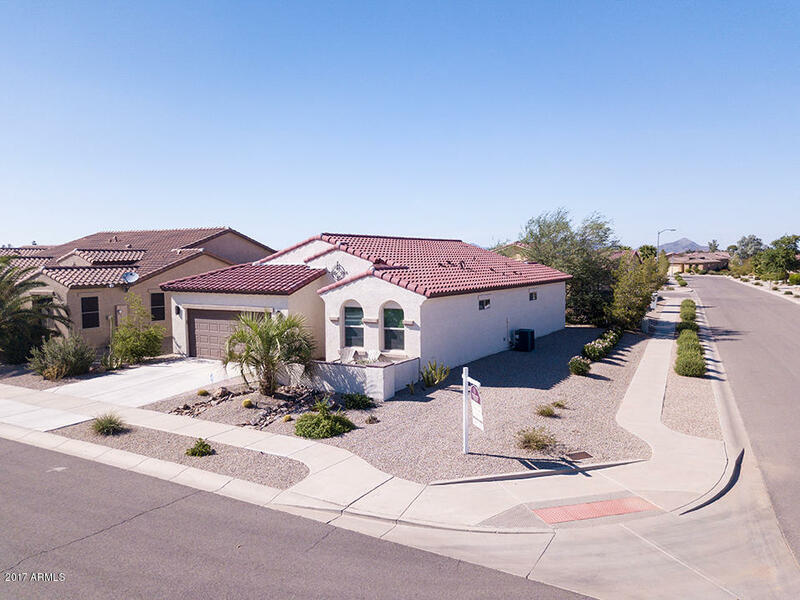 Upgraded tile flooring, spacious great room, upgraded kitchen with staggered cabinets, granite countertops, reverse osmosis, kitchen island, and stainless steel appliances! Large Master Suite with his & her sinks, walk-in closet, extended length garage with cabinets and water softner! Front South facing courtyard with pavers, extended back patio with pavers and partial wall for privacy. This home is barely lived in with elegant furniture throughout you must call today for your private showing before it's gone!